To that end, I have been considering a shorter boat for paddling on white water up to G3 for a while (think Dart Loop, Wye or the Tees, etc). Tempted as I was with either the Nova Craft Supernova and Wenonah Argosy, the Ranger 14 is a boat I kept coming back to. There is something about this boat that sets it apart from the rest of the Venture (Pyranha) canoes. 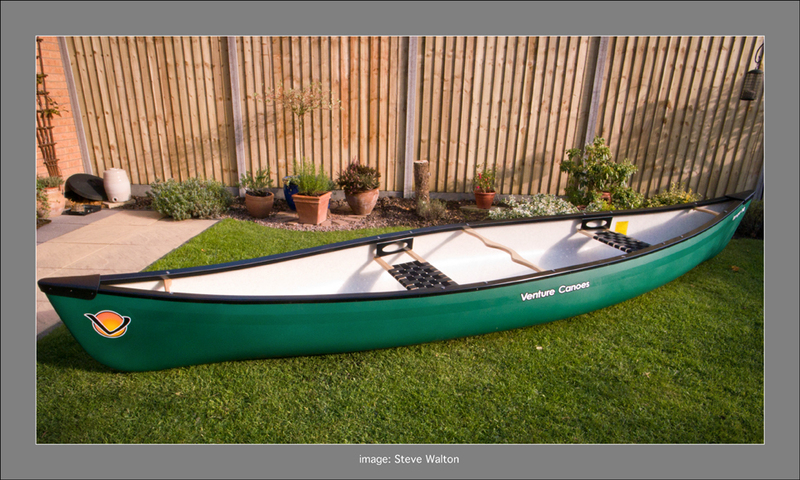 Try as I might to talk myself out buying a Venture canoe for no better reason than paddling snobbery, over 40 years of paddling experience on all classes of water from salty and lake to G4+ rivers told me the Venture Ranger 14 made more sense the longer I thought about it. It's short enough to manouevre around and between obstructions and is quite responsive. I wanted a boat that is light enough to car-top on my own (I cannot do this with my Birchcreek 16') and reasonably stable yet will perform in moving water. It also had to be durable, definitely more durable than Royalex Lite. At a fraction of the cost, heavier polyethylene is a price I am more than willing to pay. It will bounce of most 'mistakes' and I don't have to worry about wrecking a £1300 boat on the first outing. If it moves reasonably well on the flat, can carry camping gear, can be poled, sailed, paddled and portaged and is fun on white water, then it has to be worthy of consideration. Having tried a Ranger 14, it hit me that this is a boat that can really do all of this and keep fairly dry through standing waves and surf waves at around half of the cost of the other options. The Ranger 14 is a bargain in the world of open canoeing, it can do all I want. The only drawbacks are the obvious ones of weight (it is heavy for a 14 footer) and speed (it is slower than my Birchcreek, but then you would expect it to be!). I decided to bury the snobbery and go with the common sense and I saved myself around £700 at the same time. Dave dropped the boat off this morning and this is where the outfitting starts to transform my new Venture Ranger 14 into a solo whitewater boat (as soon as I've shifted my current workload, that is! ), this boat is going to spend most of it's time travelling backwards. The bow seat (the seat nearest the centre) will be removed along with those horrible alloy seat hangers, turned around to face the opposite way and refitted with a nice pair of wooden seat hangers to improve the aesthetics. The seat will not be moved from it's position as it is well placed just behind the yoke for solo paddling. The existing rear seat is superfluous and will be removed along with it's alloy hangers. A new ash thwart will be fitted in it's place and the two remaining unused holes in the gunnels will be blanked off. Outfitting for moving water will be completed with a 60" airbag lashed into the front with, a 48" airbag in the stern. There will be ample room for kit behind the front airbag. Contrary to popular practice, I am not drilling and lacing the hull as I dislike the resulting visual aesthetic effect of this. I know all about the current wisdom of risk of the gunnels being pulled off by airbag and water pressure in the event of a pinning, but I don't really subscribe to that opinion. Instead, I will be pop-riveting 'p'-clips out of sight under the gunnels and running parallel lacing across the airbags to retain them in the event of a capsize. I am undecided at this point whether I will be drilling holes in the bow (stern!) and stern (bow!) and fitting grab loops for the same reason. I realise many open boaters will disagree with this, but that's just me. Forgive my asking... but why are you gong to point the boat the other way round? Fascinating stuff. I really get the aesthetics thing. No idea myself about canoes Steve. Hope you take it out soon and wild camp on the river banks while you explore some rivers. Then tell us all about it. That's the plan, Martin. It's a different way of travelling. Some of the traditional types of canoes that were/still are used by indigenous peoples are designed to be paddled equally efficiently by two paddlers or by one paddler. Although this boat is far from traditional in many ways, not least in construction materials, the basic concept follows tradition. The outline shape of this boat is symmetrical, so without seats there would be no bow or stern, it is the seating position which determines that. The seating position needs to be just behind the mid-point for my preferred method of solo paddling, which is kneeling with my backside resting on the seat and the boat heeled over to one side. As I reach forward to place my paddle in the water, my weight transfers to slightly in front of the mid point which keeps the front of the boat in the water. This increases the waterline length of the boat (ie, the wetted area)and improves both speed and directional stability. If I were to use the rear seat for solo paddling, my weight is too far back and would lift the bow from the surface of the water, making the boat less directionally stable and more susceptible to being pushed off-course by the wind and chop, especially on wider rivers and lakes or lochs. A well set-up canoe is a wonderfully efficient way to travel and leaves more time to enjoy the journey instead of having to constantly correct the course. Right! I understood all of that. Fascinating. If you're about to paddle about on white water why don't you use a kayak? I am missing something here, aren't I? Is it the aesthetics? Load carrying? I paddled kayaks on white water rivers up to grade 4 for over 30 years until a few years ago. Out of my regular 10 or so paddling mates for much of that time, I was the closet 'open (Canadian canoe) boater'. As much as I enjoyed river-running in kayaks, I get equal pleasure paddling an open boat. I started paddling open canoes when my children were very young, taking them out for day paddles and picnics and sometimes further afield on multiple-day camping trips. I could paddle a kayak, but I have always found the Canadian canoe fascinating and have paddled many different boats over the years. There is always something new to learn or another technique to try, especially on moving water. 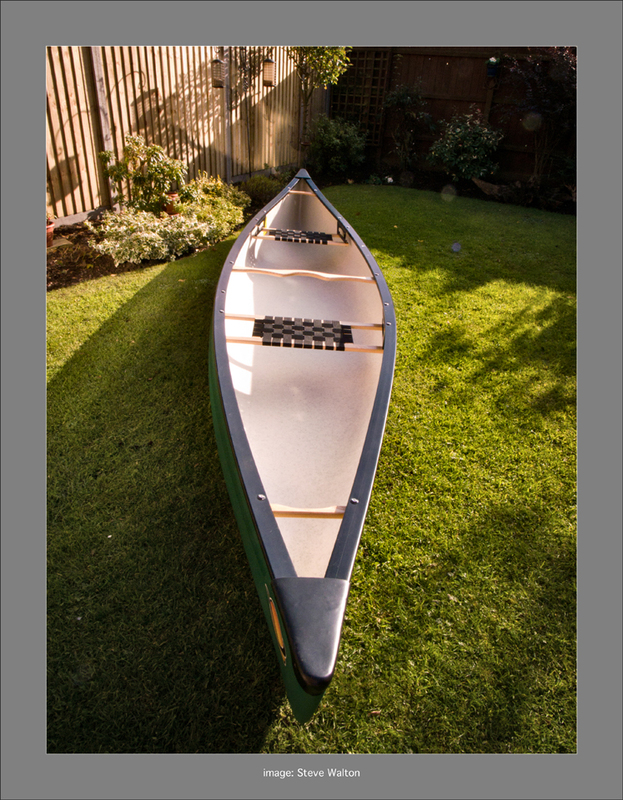 Aesthetics is certainly a factor, an open canoe, like a traditional Inuit style sea kayak is a very elegant, graceful and efficient craft. Both are designed to travel great distances and for carrying equipment.